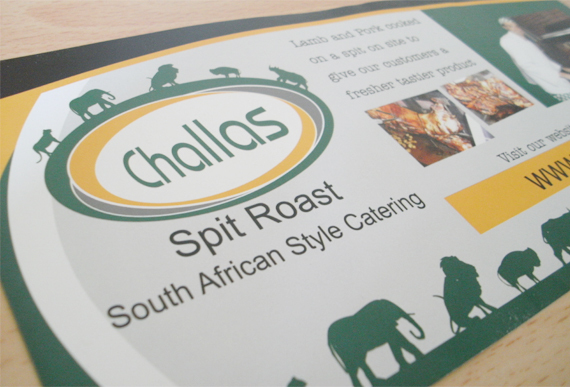 Chew Design recently designed leaflets for Challas Spit Roast in Northern Ireland. Having created the branding for this energetic catering company already, we were able to transfer some ideas and thinking toward this promotional leaflet design. 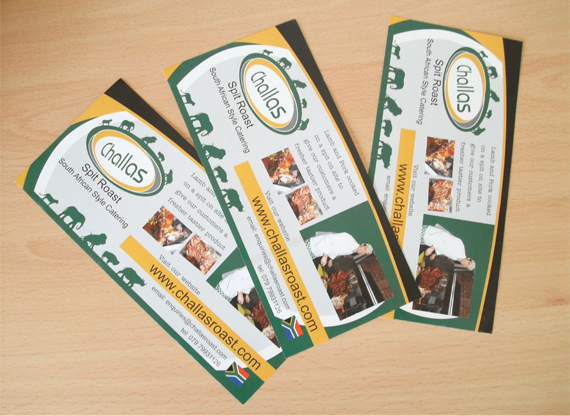 The colours of the logo are carrried over to create a nice visually attractive leaflet. 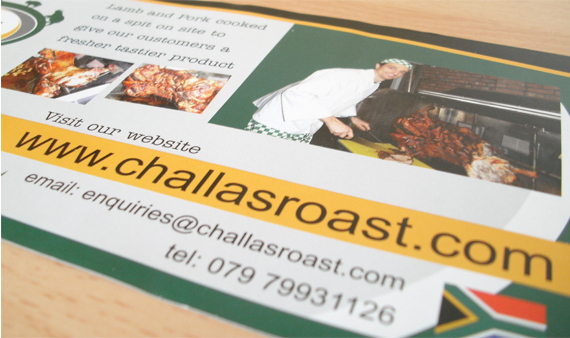 The leaflet promotes Challas Roast’s catering services to new prospective clients and customers. It also serves as a promotional item, encouraging readers to go onto the website for more information about the catering services Challas provide. There readers can view menus in more detail and fill in quote forms for extra information and costings. The website address is therefore prominent on this leaflet design, highlighting its importance in the marketing strategy.